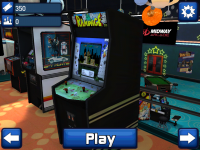 The arcade scene has been diminishing for years, but fortunately apps like Midway Arcade exist to preserve our video gaming past. Nothing can replace the feeling of stepping into a dank, sticky-carpeted arcade with a gang of dubious youths loitering around a fruit machine, but most would argue that’s something to be thankful about. Bearing in mind the purse-pleasing 69p price tag, we didn’t think Midway Arcade would have had a great deal of time or attention lavished on the presentation. The reality is that the main hub is quite attractive. Much like 99 percent of the arcade collections released over the last few years, it’s set in a virtual arcade. Classic Midway sound-effects and speech samples can be heard in the background while pixel art decorates the walls. In short: the hub helps to give the package an atmosphere. High scores earn tickets that can be used to unlock collectable virtual goods, including stuffed Rampage toys, and then later things like claw grabbing machines and a jukebox. Incidentally, you can select music from your iTunes collection to listen to while you play, giving a good reason to open that ’80s CD you bought for a quid in Poundland. Although the product description claims that ten arcade games feature, only six of these are coin-op classics. The other four are ‘skill games’ – air hockey, basketball, roll ball and pool. Air hockey feels like it was made in a matter of minutes with very unnatural puck physics. Roll ball doesn’t fare any better, requiring little to no skill at all – those with fast flicking skills can flick all ten balls down the alley in less than a few seconds, netting a high score every time. Basketball is similar but does require some skill as the balls appear in different places at the bottom of the screen at start of each throw. Pool is the best of the bunch, but it’s not hard to find better examples of it on the App Store. The six coin-ops are likewise a mixed bag. Each has either two or three different control systems and all six be played either horizontally or vertically. Some experimentation is required to find an ideal combination of the two. Play Defender with the iPhone vertically and the sprites become no more than a couple of millimetres wide making them hard to see. Playing Spy Hunter with the virtual joystick is a pain, but turn tilt controls on and it becomes a pleasurable experience. 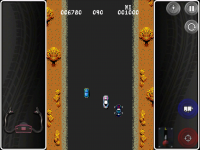 The chunky sprites in Rampage and Arch Rivals are easy on the eye no matter how you hold your iPhone, and we had no problems with Joust either – ignoring the fact that time hasn’t been too kind to it. Arch Rivals – a forerunner to NBA Jam – is also a bit of an acquired taste. For us the highlight of the package is Root Beer Tapper. It’s a game that still has much in common with today’s ‘twitch gaming’ experiences, requiring you to juggle pouring drinks, collecting tips and catching empty glasses all at once. The amusing animations at the end of each round also still raise a smile. Even if Midway Arcade only contained Root Beer Tapper it would be good value for money. Two additional add-on packs are also available for an additional 69p each. 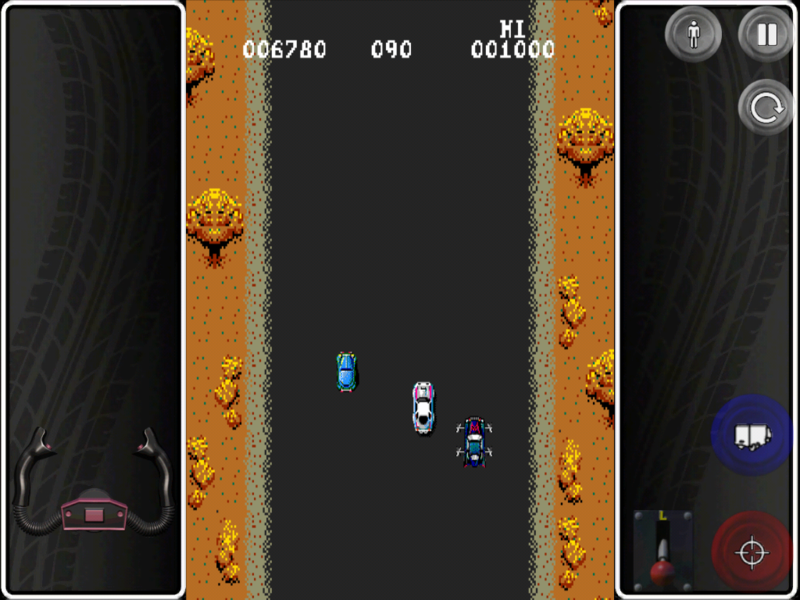 One contains Gauntlet I, Gauntlet II and Wizard of Wor while the other contains Total Carnage, NARC and APB. We would have rather had Smash TV instead of Total Carnage, but we’re sure somebody somewhere has a fond memory of playing it.